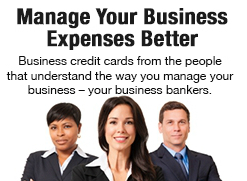 Choose the card that’s right for your business: Standard Card with no annual fee or the Preferred Points Rewards Card. Online account information available 24/7 at cardaccount.net. To view or redeem rewards points, visit mypreferredpoints.com or call 866-678-5191. 24-hour toll-free live customer assistance available at 800-367-7576.Online account information available 24/7 at www.cardaccount.net. Please note that you cannot save the document, so print an extra copy for yourself, or print it and then complete it using a blue or black pen. Supporting documents vary depending on the type of business you have. Please see the Business Credit Card Checklist. Fax your completed application to the 636-232-2651 or email to mwrcreditcards@mwregionalbank.com.